Wile E. Coyote Teaches Math (And Despair) To Lucky Students In New Zealand : Krulwich Wonders... In New Zealand, where they do things differently, middle schoolers are taught statistics, probability and experimental science in an odd way. 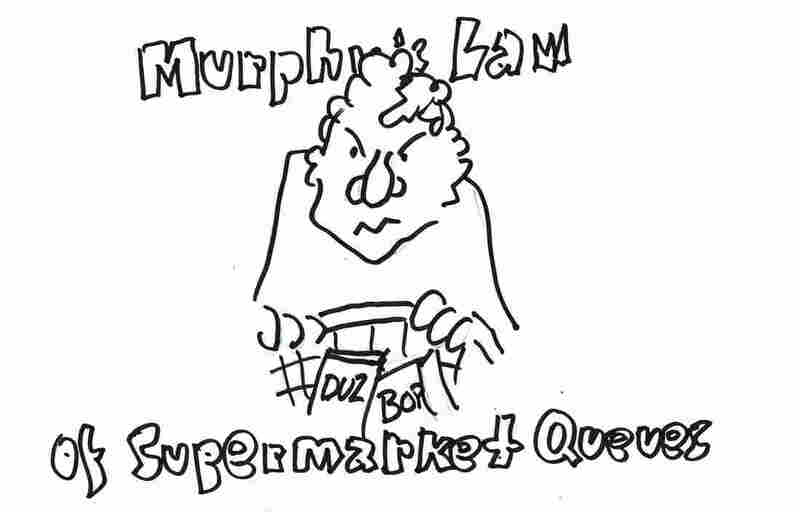 They explore frustrating supermarket lines, ungraspable tape, foot seeking thumbtacks and carpet soiling toast. There's something about being upside down (from all of us in the Northern Hemisphere) that makes New Zealanders a little melancholy. At least that's my theory. My evidence? Well, the other day, I was looking at a curriculum guide for math teachers ("maths" teachers, they would say) on the New Zealand Ministry of Education's site, where the text on top says, We want to equip "all New Zealanders with the knowledge, skills, and values to be successful citizens in the 21st century." When you flip to the Maths page, here's what they think young citizens should know: Let's test, they say, the truth or falsity of Murphy's Law. "In this unit, students will explore the commonly held believe (sic) that if anything bad can possibly happen it will and at the most inopportune time." It's fun to read the list of supplies teachers should bring to the classroom, the step-by-step instructions, (you can do that here) but what I liked best were the examples, the case studies. They are so painfully specific. The Ministry says it's teaching statistics, but really it's teaching the philosophy of Wile E. Coyote of the Road Runner cartoons. These lessons look like math, not so deep down they are an immersion into the World of Despair. The Ministry recommends five examples of Murphy's Law. I've translated from New Zealand English when necessary. These are exact quotations. 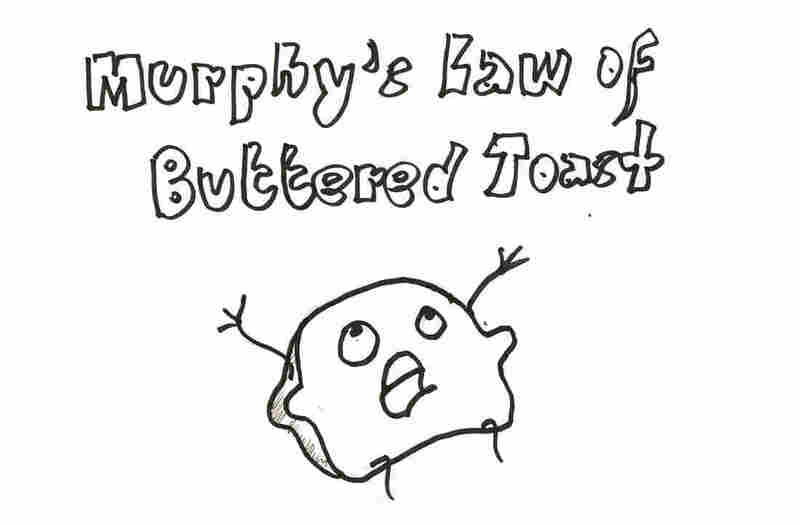 "The first lesson will investigate the example of Murphy's Law relating to keys. It goes like this (act it out as you are saying it): There you are carrying a heavy box of things to the door or to the car boot [trunk]. You put the box in one arm to hold it while you reach inside your pocket for the keys and, you guessed it, the keys are in the other pocket! So you shift the load onto the other arm to get the keys out or you become a contortionist by trying to get it with the opposite arm. 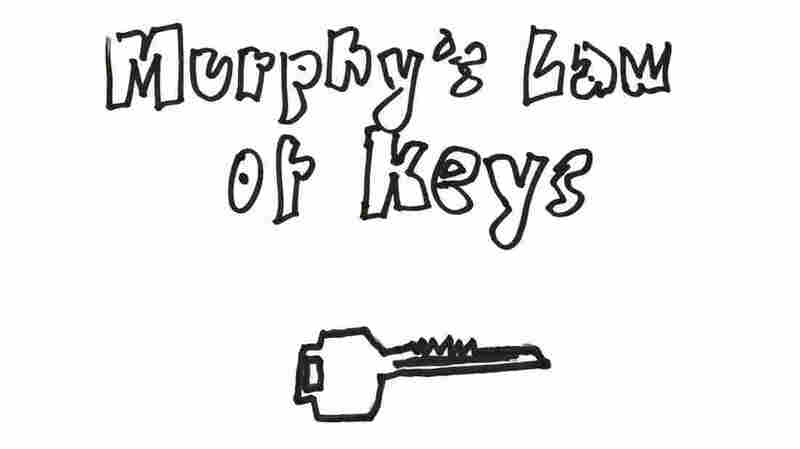 So Murphy's Law for keys says that keys are always in the pocket that you can't reach." Students are then asked to design experiments to test the probability that keys will consistently lodge in the wrong pocket. "The more expensive the carpet the greater the chance that the piece of toast that falls off your plate will land butter side down." 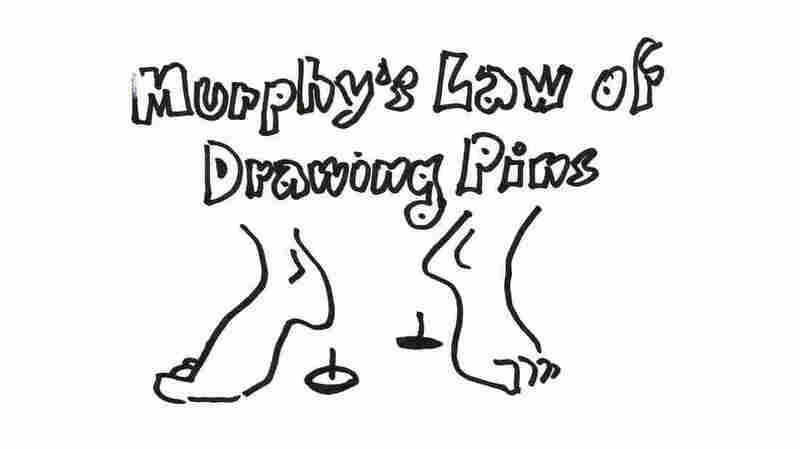 "If a drawing pin drops on the floor the chance of it landing sharp end up increases as its distance to the nearest bare foot decreases." 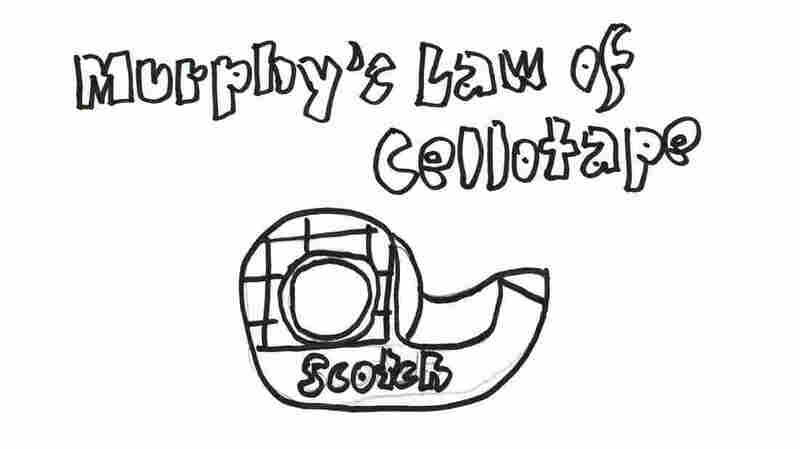 "The more of a rush you are in the harder it is to find the start of a roll of cellotape." "Whatever queue [line] you join, no matter how short it looks, will always take the longest for you to get served." That's how they teach probability and statistics in New Zealand. Imagine spending a week designing experiments about frustrating supermarket lines, ungraspable tape, foot seeking thumbtacks and carpet soiling toast. You wouldn't want to leave your bed. But somehow, the Education Minister thinks thinking darkly is good preparation for a successful life in the 21st century. Could the Minister possibly know something we don't? Though maybe this isn't fair. If you looked at my homework assignments in sixth grade, they were all about getting on a train leaving St. Louis at 6 a.m. and heading for Kansas City at 60 miles an hour, while someone else in Chicago at 4 a.m. was also going to Kansas City, but at 75 miles an hour, and I was supposed to figure out who got to Kansas City first. Did knowing who arrives first in Kansas City better prepare me for success in the 20th century? You bet it did! Look at me! I've got my own blog! So we should respect curriculum developers. They can read the future. They know what's coming.